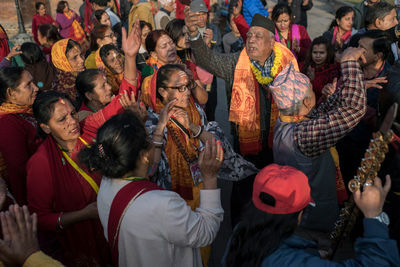 Around a million devotees visited Pashupatinath temple on Monday March 7, 2016 in the occasion of the Mahashivaratri Festival in Kathmandu. The gate of the temple opened at 3 a.m. allowing people to queue from the early morning. Mahashivaratri literally means the greatest night for devotion to Lord Shiva. 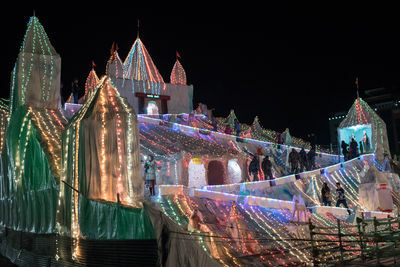 The festival falls on the 13th day in the dark fortnight in Falgun on the Hindu calendar. Pashupatinath Temple is regarded as one of the holiest Shiva shrines in the world. The festival consists of ‘warming’ Shiva in the belief that the lord also feels cold on this day. People start bonfires at public squares, houses, temples and shrines and perform prayers. 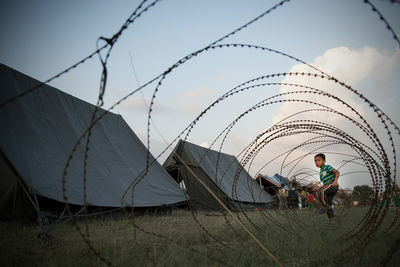 According to the authorities, 3,000 personnel from Nepal Police and the Armed Police Force were deployed to provide security. More than 5000 Shadus (holy men) arrived for Nepal and India, camping in the temporary shelters set up by the organization. 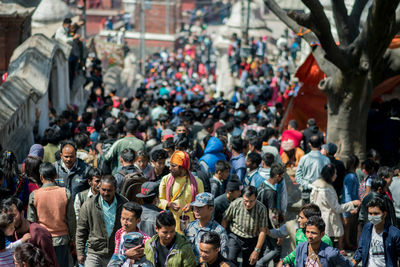 Crowd of devotees in the area around Pashupatinath temple in Kathmandu during the Mahashivaratri festival. Devotees chanting holy songs and prayer in the early morning at Pashupatinath temple. 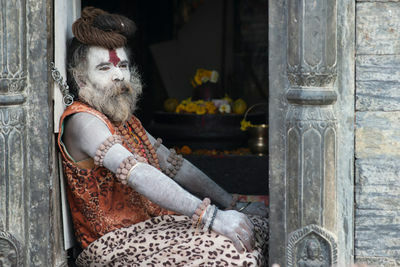 A Sadhu, holy man, sitting in his shelter during the Mahashivaratri festival in Kathmandu. 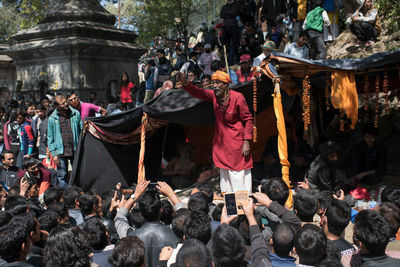 Sadhu giving speeches to people along the hill of Pashupatinath temple where he is camping. A Sadhu, holy man, stands near the Pashupatinath temple during the Mahashivaratri festival in Kathmandu. 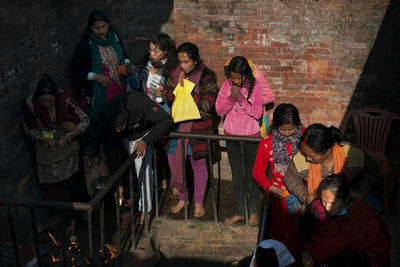 Devotees pray on the banks of Bagmati river at the crematory besides Pashupatinath temple during the Mahashivaratri festival. 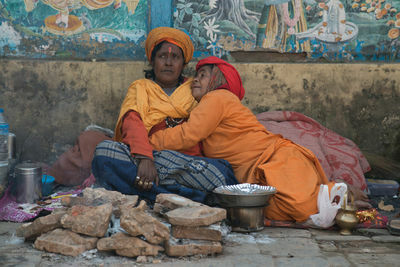 Female sadhus, known as sadhvis, sitting at Pashupatinath temple during the Mahashivaratri festival. A Naga (naked) Sadhu sanding on the terrace of a temple facing the crematory inside Pashupatinath temple in Kathmandu. 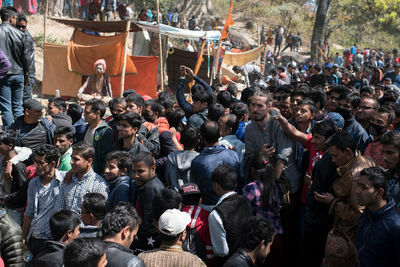 A foreign tourist is trapped in the crowd during the Mahashivaratri festival in Kathmandu. Beggers surround a devotee holding some amount of money. 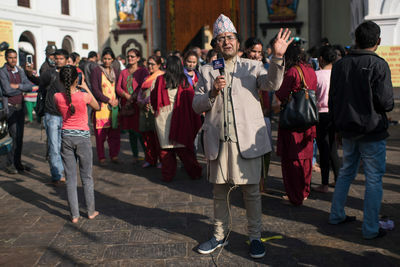 A TV journalist from a local channel broadcasting live from Pashupatinath temple during the Mahashivaratri festival. 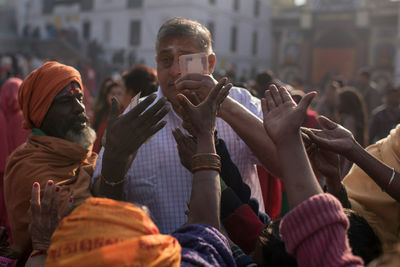 Devotees praying to Lord Shiva at the Pashupatinath temple in Kathmandu. 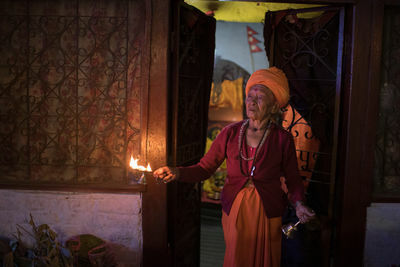 An elder Sadhu woman performing a prayer in front of a small shrine at the gate of the Pashupatinath temple in Kathmandu. 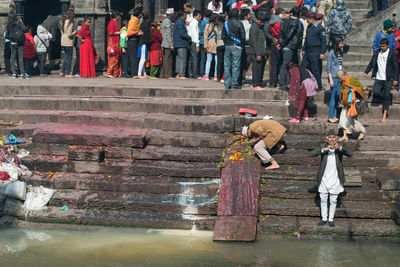 A Nepali devotee coming out from the Pashupatinath temple after his prayer on the occasion of the Mahashivaratri festival. 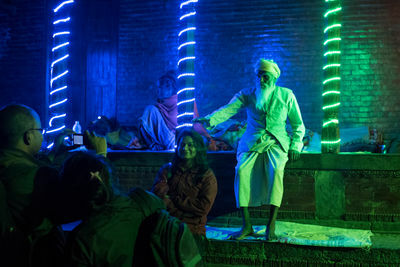 Sadhu, holy man, touches a devotee as a sign of blessing during the night of Shivaratri at the Pashupatinath temple in Kathmandu. 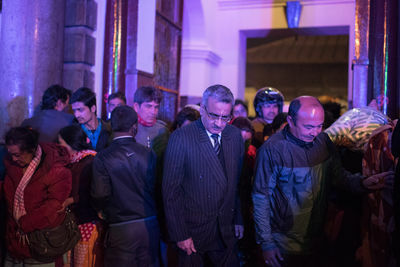 Devotees walking inside a temple during the night of the Mahashivaratri festival in Kathmandu. 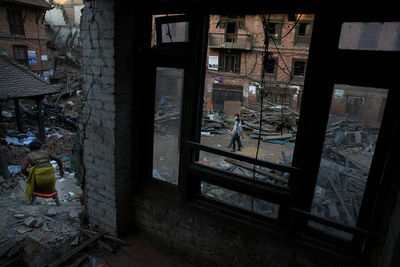 Nepali residents clear rubble and collect items from their destroyed homes in Bhaktapur, Nepal on May 5, 2015. On April 25, 2015, Nepal suffered a magnitude 7.8 earthquake killing over 7,000 people and injuring thousands more. 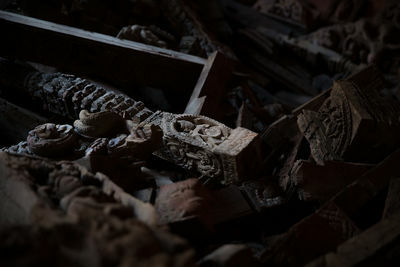 Carvings and other artwork from destroyed temples are stored in a secure location in Patan, Nepal on May 4, 2015. On April 25, 2015, Nepal suffered a magnitude 7.8 earthquake killing over 7,000 people and injuring thousands more. 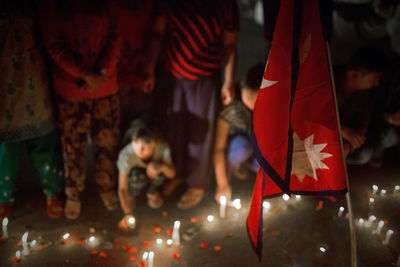 Nepali residents take part in a candle lighting ceremony for those lost in the earthquake on a street in Kathmandu, Nepal on May 4, 2015. On April 25, 2015, Nepal suffered a magnitude 7.8 earthquake killing over 7,000 people and injuring thousands more. 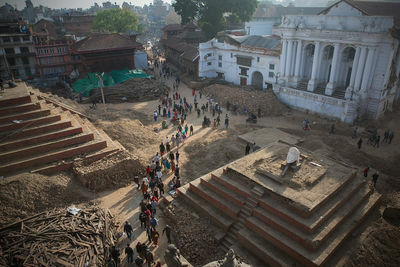 Locals and tourists walk through the ruins of Durbar Square in Kathmandu, Nepal on May 2, 2015. On April 25, 2015, Nepal suffered a magnitude 7.8 earthquake killing over 7,000 people and injuring thousands more.